Join the thousands of customers that choose Container King for all their storage container needs. “I inquired with a colleague about the need for additional storage for various small equipment and resource materials. He advised me about Container King, given the positive, productive and professional manner he experienced. My contact with Sale Representative Cathy was very satisfying in all aspects from the products presentation, product purchase and the prompt delivery to the worksite. I definitely would recommend Container King for steel storage requirements. Cathy, your kindness, professionalism, support and guidance is something to commend. From the time I fist spoke to you back in April 27, 2017 to the very end June 2018 when the container was delivered to the school site you were the most amazing person to deal with. You helped me thru the many ordeals of dealing with city permits and requests to switching the container size last minute. I am sincerely grateful for all you did for us. You guys are just amazing to work with. I also would like to thank the driver for the excellent job he did in placing the container on site. He was incredible! Got the container on the right spot the first time!! These is an amazing and skilled person. Everyone is extremely happy with the storage container and we are now planning to create a mural with the students at the school on the container. I will send you a picture once the mural is done. 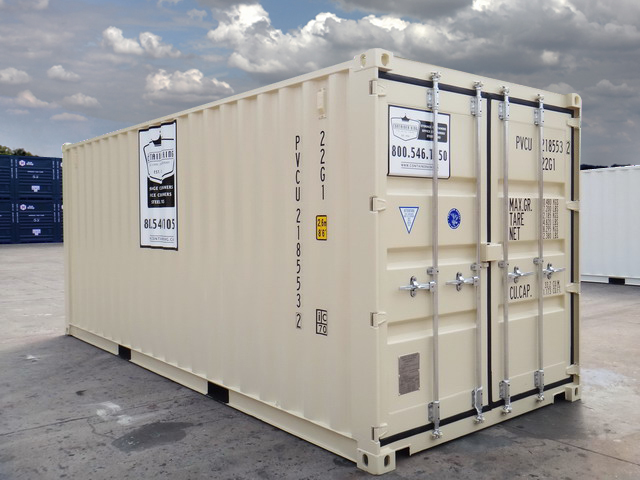 “Thank you Jeff, all went well with the delivery and the container is perfect for what we need. Thanks again for all your help.